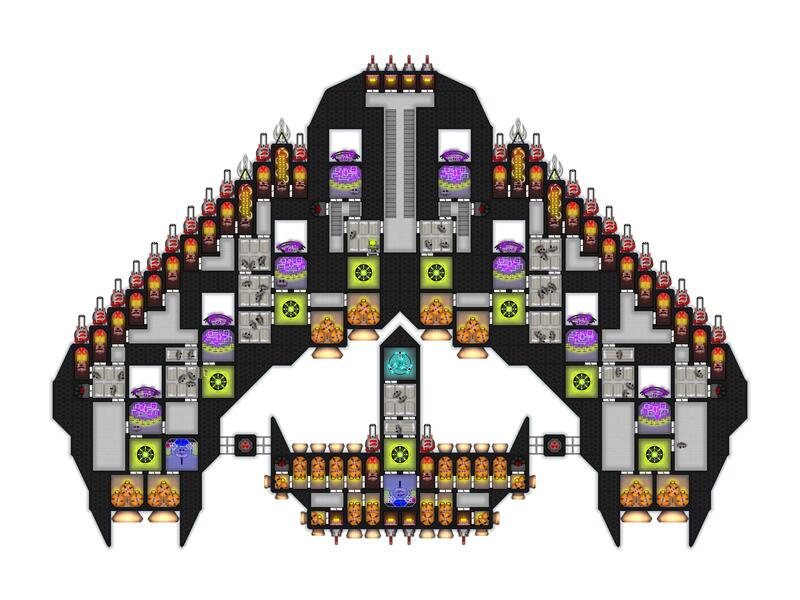 Thoughts on this 500k ship? Posted this one yesterday in my welcome post, but I made a few modifications. Any thoughts? I've toyed with the idea of having a pair of heavy lasers that replace two normal ones, and have gone back and forth with the idea of having an axial weapon. I like the speed and shield protection, I'm just on the fence about it's armament and whether or not I should swap to a different weapon type or add more of another. When you look closely, there are useless corridors in the corners & the middle (They will never be used.) I would suggest changing them into armor, or structure. Also, perhaps slightly less lazers & the reactors slightly closer could improve performance. Alpha Thanks for the input. I'll definitely do something about the excess halls. As for the reactors and lasers, I'm still on the fence. I agree moving the reactors up will improve performance, but I fear moving them out from behind the shields AND the armor (since there is a small layer of armor in front of the shields) will make them too vulnerable. I also fear removing a few of the lasers will reduce its effectiveness in combat severely. I was finding that an older variant of this ship was outgunning this one and winning due it having more lasers, and lasers seem to struggle against heavily shielded targets as it is (hence the electro bolters). Oh, and I'll add more extinguishers. I forget. Anyways, thanks again for the input, it really helps. It is indeed a balancing act, too few weapons and you'll have to little firepower. To many and your weapons will rapidly lose all power. The same with reactors and factories, the closer you place them, the more effective they get, but your ship will possibly gain a significant weakspot when you place them too close. Alpha Indeed. I think the crew can at least somewhat keep up, as during tests I noticed no significant lulls in firing patterns. I'm not sure if its required for the reactors to be moved up and the guns to be stripped down, but I might try just to see. 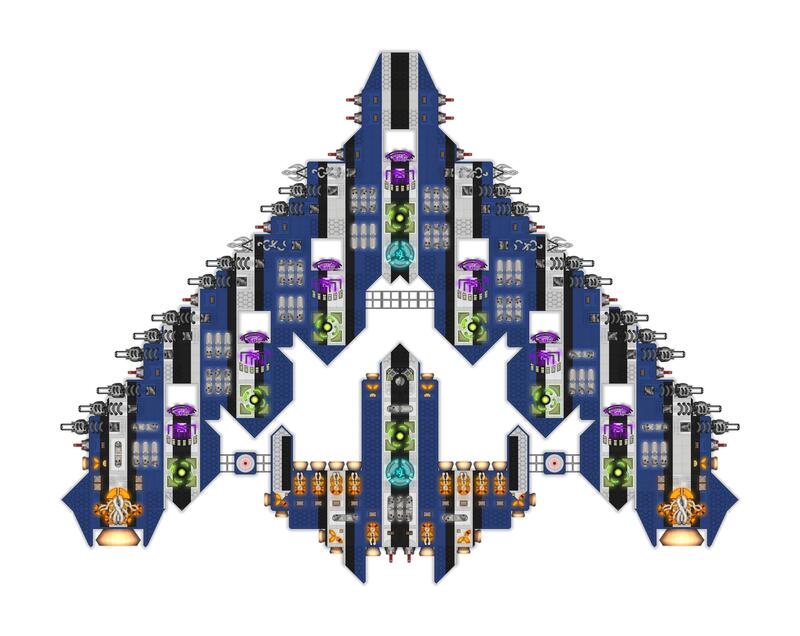 I will say, the older design had much more efficient crew layout and compartmentalization, so that might be the issue. Astrum yes, interestingly enough your newer design seems to be a downgrade from your older design. And you were correct about it having better compartmentalization. I wouldn't put the guns sideways like that without armor in front of them. It makes them easier to destroy, especially with penetrating weapons. The foremost electrobolt on each side also occludes the foremost laser. You're a bit underpowered on both designs. A reactor can power 6 small lasers, two electrobolts, or two shields. A reactor powering two shields will bottleneck if there isn't storage. Point defense and engines also draw power, but the ratios aren't as easy. You have on the first ship, 8 reactors are powering 22 small lasers, 4 electrobolts, and 8 shields. You need 10 reactors to not have power issues when taking damage to multiple shields. You may actually need 11 if you're running your point defense heavily while taking shield damage and trying to fire. On the second ship, 7 reactors are powering 20 small lasers, 4 electrobolts, and 7 shields. You need, again, 10 reactors to fully power everything. If peak power load isn't sustained you can get by with less, but only if you have adequate power storage. Neither design has any power storage. 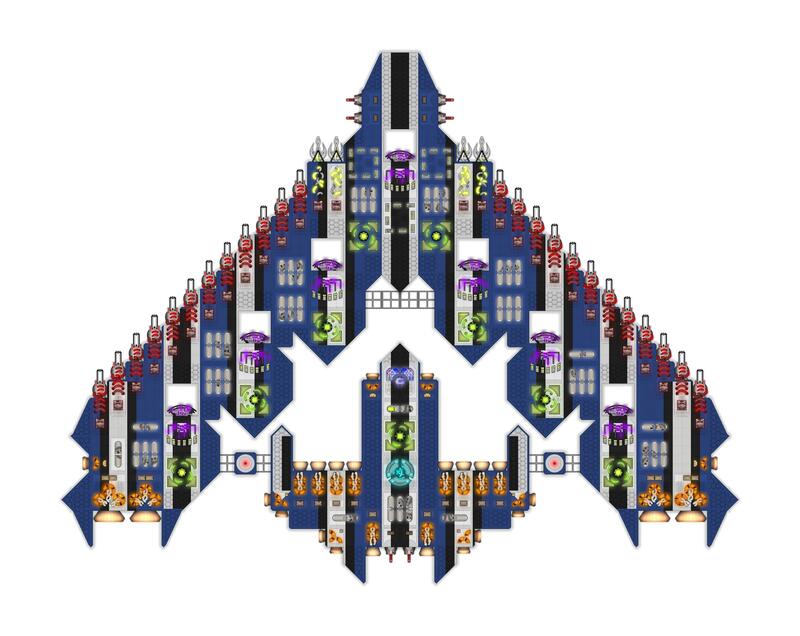 Additionally, the first ship has no reverse or lateral thrust on the larger ship, and the second has no cockpit on the larger ship which makes its inadequate and unbalanced lateral thrust and completely nonexistent reverse thrust moot. 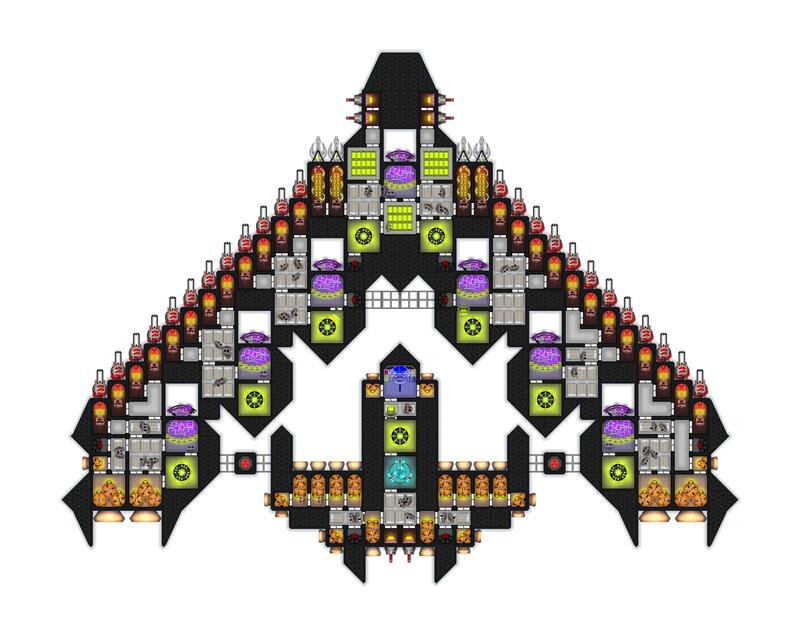 Atarlost As power management is my specialty, I don't agree that he should use the power ratios you suggested, at least not if he wants his ship to have the best cost: firepower and durability ratio it can. Perfect efficiency, or anything close to it will always have a disadvantage to under-powered ships. 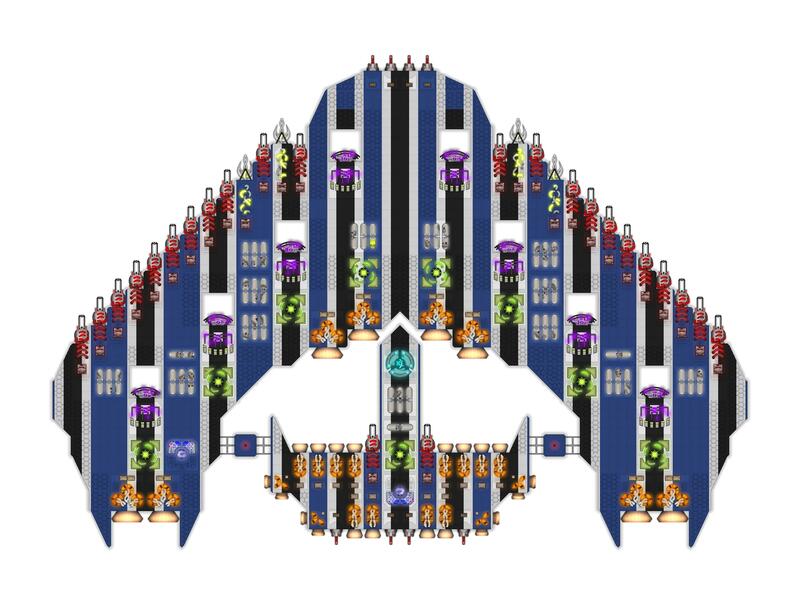 The theory is that more guns that aren't always firing it's better then less guns that do fire forever because more guns means more guns to destroy and even if they don't always fire they will still have a good alpha strike. Anyway, I should probably add a whole power theory section when I overhaul my guide soon. Atarlost All great things you pointed out. I'll be sure to keep it in mind as I upgrade. I agree with you assessment on the sideways weapons - a combination of them being larger targets AND having less reliable firing arcs (since they can only turn 90 degrees it seems), made me want to switch, which was one of the main points of the newer design which sports more conventional forward facing guns. As for the power issues, I'll keep it mind, but as Oneye said, I am looking to maintain a good cost firepower and armor ratio, and the second design is stretching the bank as it is. Perhaps I could drop some weapons instead of adding another reactor, or perhaps drop one reactor from the front section since you mentioned 1 reactor will cover two shields, (perhaps adding a storage as a fill in for the second reactor). 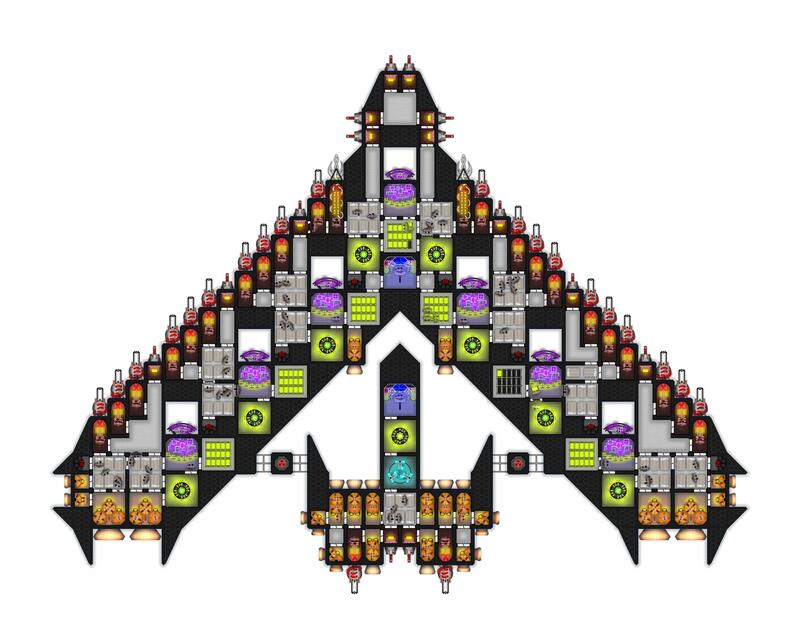 As for thrust, its sorta a mess. However I should've pointed out that the second ship pretty much never deploys from the main one and exists solely as an "escape pod" or an interceptor that can chase down something small and nimble that the main ship can't hope to catch up to. Thus, it was built to provide quite a bit of the thrust for the main ship. I do recognize the need for lateral thrusters though and I've just forgotten about them. Thanks for the in-depth analysis! Astrum Small lasers and electro bolts have 200 degree firing arcs (I think, it may be 190) so the sideways guns do work. But as Atarlost said there should be armor in front of them or else they are a bigger target then they need to be. so I say keep the modules, just try to turn the guns facing forward. Oneye Interesting. I wouldn't put it past me to manage to downgrade something; over complicating and failing to meet the concept: "if it isn't broke. don't fix it" are things I excel in from time to time. As I stated in my other comment, I just simply didn't love the sideways guns. They were quite exposed and difficult to protect due to their larger area, and also struggled to hit certain targets since they couldn't angle themselves perfectly from time to time. Perhaps I'll find a way to fix the issues, since the older design is both cheaper and seems to be slightly more reliable. New and improved old design rework seems to have been successful. Changes still need to be made, but overall I find this new variant to be a much better design. 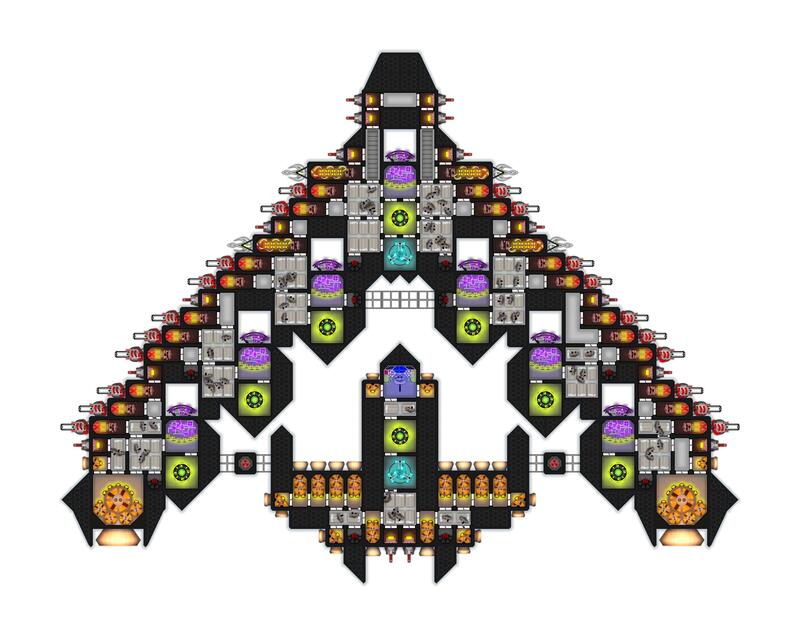 I realized the issues with compartmentalization with the first design were because of odd shield placement, which limited access to the weapons. I kept the older design's shield placement and simply turned the guns forward, with positive results. New design combines the forward facing firepower of the first design and the better organization/compartmentalization of the older design. Also comes with some storage up front to help keep that front shield and electro bolters going for a long period of time. Astrum Quite a few of the door on that ship are not well placed resulting in crew traveling further than they should need to when supplying power to the weapons. At the moment it looks heavily reliant on winning a battle with its alpha strike using power stored in the weapons. Equalizer I’ve made a few changes right after I uploaded, including dropping a few guns so that each compartment deals with only 3 weapons and a shield. I’ll upload new pictures when I get a chance. EDIT: The photos, as promised. EDIT 2: Contemplating switching the positions of the storage units and the reactors. I'll fiddle with it tomorrow.